In this post think about what Mr. Green talked about in class and respond to one of his comments by asking a question or make a comment. If he did not address a question you had, please ask it here in your post. THE STORY: Roger Green was named to Barron’s Top 100 Independent Financial Advisors in August 2007, and he was named one of America’s Top 50 Broker/Dealer Advisors in Registered Rep. magazine in January 2008. 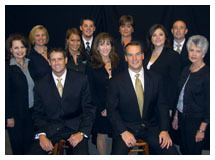 In both 2005 and 2006, he was one of five finalists for the Gwinnett Chamber Small Business Person of the Year Award. How I did it: Persistence, goal orientation and growing my knowledge have been key. Beyond that, I have invested in a support staff with skill strengths I do not have, allowing me to focus on what I love and do best. My best advice: My best advice would be to treat your occupation, whatever it may be, like you are working for God himself. Always give your best, and treat others with the respect and dignity you would like. My idea of fun: My idea of fun is varied – a beautiful day of golf with friends, cheering my sons on at wrestling meets, any activity with my wife and kids, and traveling. I live a full life, packed with enjoyment! What I dream of: I dream of a world where we all look for the good in each other, rather than focusing on the negative. One where all find reward in doing for others through gifts of talent, time or money. What’s next for me: I will continue the focus of assisting as many people as possible with their retirement planning and will continue to use my gifts and influence to help others. I will also continue to prioritize time with my family. Since 1987, Roger Green has been doing what he is known for – helping people plan for retirement. Roger Green and the staff of his firm, Green Financial Resources (GFR) LLC, know that a strong financial planning business combines both excellence in customer service and an overall understanding of investments and retirement planning. This understanding has brought Green to the forefront of the financial planning industry. In fact, Green is gaining national recognition as he was recently named one of the Top 100 Independent Financial Advisers in Barron’s. This year, he was also named one of America’s Top 50 Broker/Dealer Advisors in Registered Rep. magazine. He was one the finalists for the Gwinnett Chamber Small Business Person of the Year award on more than one occasion, and in 2003, Green Financial was recognized by the Atlanta Business Chronicle as a top financial planning and advisory firm in Atlanta. Green attributes much of his company’s success to his talented staff. “I knew I needed a talented staff to do the things that would take me away from the thing I do best – providing investment advice. The more time I am free to meet with people about their money, the greater the odds my business will grow,” he says. So far, GFR has more than $334 million in assets under management and more than 1,800 clients. A major difference in his firm is his willingness to spend time with people without requiring asset minimums or initial consultation charges. Green believes that anyone wanting to save some portion of their income toward their retirement deserves help. He puts his belief into action by taking the time to educate the community about financial investing through his weekly radio programs, classes sponsored by Gwinnett Technical College and newspaper columns. In addition, Green is an active member of Crosspointe Church at Gwinnett Center and serves on the Board of Dr. James Merritt’s Touching Lives Christian Ministry. 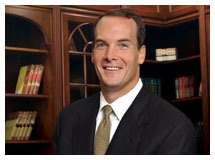 He also began serving on the Board of Directors for the Gwinnett Children’s Shelter in 2006. In addition, Green hosts an annual golf tournament to support local causes. Securities and advisory services offered through Multi-Financial Securities Corporation, member NASD/SIPC. Green Financial is not affiliated with Multi-Financial Securities Corporation.